An overwhelming sense of eagerness overtook me after Apple showed off OS X Yosemite at WWDC. The redesigned interface and accompanying features, like a spruced-up Spotlight and the ability to take phone calls on your Mac, made downloading the beta version too intriguing to pass up. Little did I know that moments after finalizing the installation, I would encounter a massive problem that would send me on an emotional ride. While Apple lets developers try beta versions of upcoming software so they can sample what’s soon to be served to the public, there are plenty of precautions to take before installing test versions of any new OS. Risks include crashed systems, unresponsive applications and other general nastiness. Unfortunately, my excitement about the new Yosemite overcame my common sense. I failed to take proper precautions, like backing up my system with Time Machine, and within seconds I found the new OS downloading on my toolbar. The fact that this Mac is my most-used computer no longer factored into my reasoning. Doubts about stability and fears of work-delaying bugs took a back seat to the idea of having a completely “new” Mac, more powerful than ever before. As the 5-gigabyte download progressed, anxiety had me frantically looking for assurance that I was doing the right thing. Numerous messages from friends assured me I would be fine. When my MacBook lit up, notifying me of a finalized installation, I proceeded to input the typical information requested, like verifying my iCloud account. 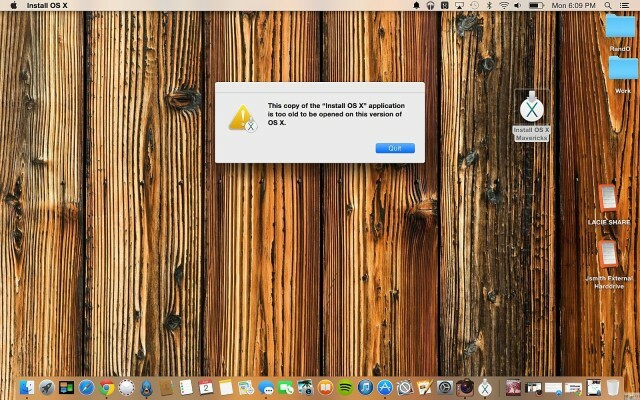 Within seconds I was prompted to log in to my upgraded computer only to find what I had dreaded most — a faulty Final Cut Pro icon indicating the app was unsupported on the new OS . As a video producer for Cult of Mac, seeing my most-needed application out of service was an absolute nightmare. The beauty of the new Yosemite design provided little comfort as I searched for a solution to my dilemma. Downgrading from Mavericks to Mountain Lion was the simplest fix I found. While that seemed good in theory, it didn’t work. I was stuck. Excitement had drawn me into this ill-fated installation, and that same excitement made me forget basic computing protocol. Backing up my Mac via Time Machine would have made the process of reverting to Mavericks much easier, but I had neglected to do so. It looked unlikely that I would ever be able to restore my computer to its original state. I had no other choice available: I had to do what I feared most and erase my hard drive. I emptied the space where the new OS lived, forcing my laptop to search for a new way to start up. While this might sound like a promising turn of events, it still did not fix the problem. A haunting question mark on a lone folder was all my MacBook’s Retina screen seemed capable of displaying. Using the tips I had found earlier by holding the Command and R keys, I was able to reboot my bare machine to Recovery Mode. This let me connect to the Internet — hope was now in sight. 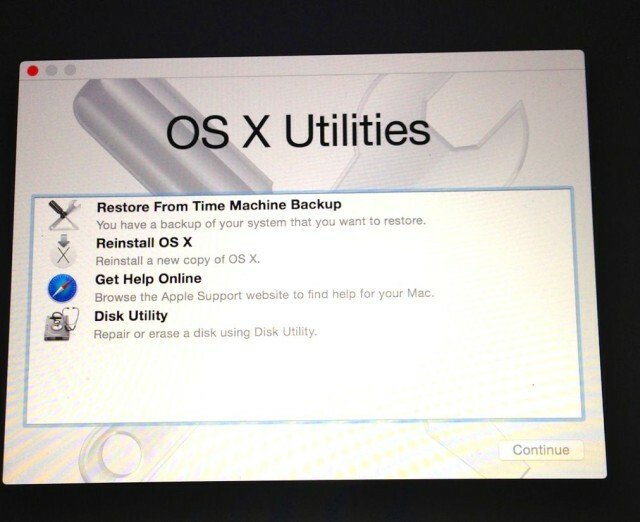 With my screen no longer only offering to restore from Time Machine, clicking on the Mountain Lion installation felt unusually therapeutic. Each slide of the blue progression bar powered a sigh of relief, and I found comfort in what seemed like a now-ancient interface. Soon a familiar galactic wallpaper ensured me that my troubles had ended. The Mac app store allowed me to download Mavericks and finally it was all over. This nerve-racking escapade made me feel like I had been around the world and back, from Yosemite Valley up to space and then home to Mavericks. Staring at my computer screen reflecting on all I had been through in the past few hours, the excitement I once felt about Yosemite’s new features seemed rather silly. With a clear head, I can now relate my experience to what I’ve known for years. Always stop, think and look both ways before crossing the street — and definitely apply that same sense of caution before impatiently installing an OS X beta. 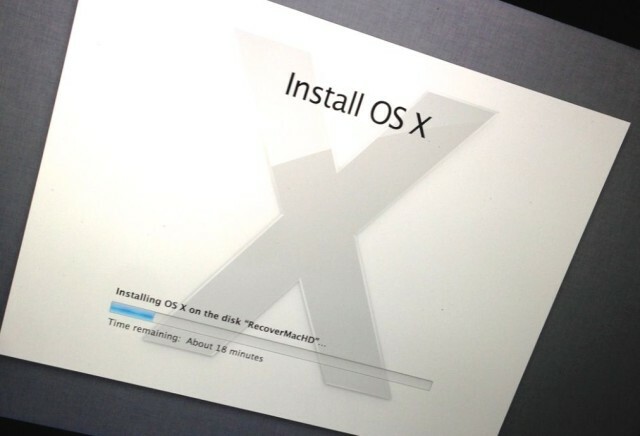 If you’re interested in downloading the new OS X Yosemite beta, find out how to do so without ruining your Mac. You can also see OS X Yosemite in action in the video below and other WWDC 2014 videos on our YouTube channel.